But a team of JILA physicists at the National Institute of Standards and Technology and the University of Colorado, Boulder is reporting that, once again, the theory was right—specifically, the Standard Model of particle physics and its prediction of just how spherical the distribution of an electron’s charge really is. Researchers haven’t gotten their experiments down to the sensitivities of the theory yet, but they’re getting closer. This leaves less room for deviation and less room for more interesting things they were hoping to see beyond the Standard Model. In this specific case, the researchers are aware that an asymmetry in how the electron’s electric charge is distributed means it should behave differently forwards versus backwards in time, said Cairncross. 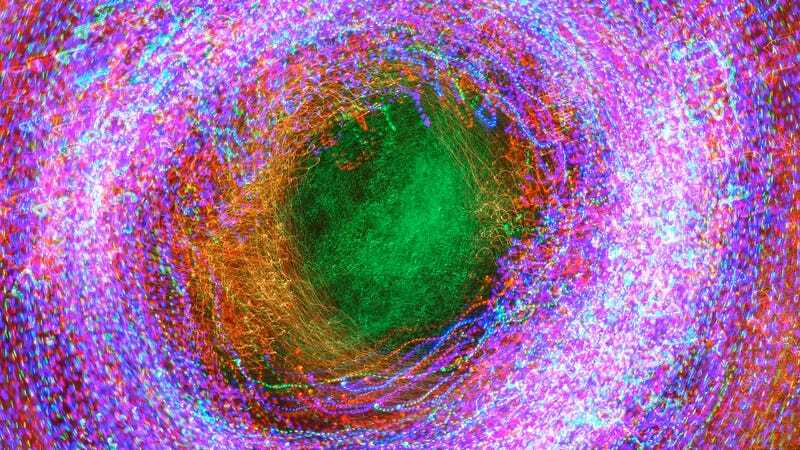 They’re hoping to find this asymmetry so that, in a circuitous way, it could help explain other mysteries of the Universe, like why even though every kind of particle has an antiparticle, scientists still observe way more regular matter than antimatter. Unfortunately, the scientists who performed this latest experiment still did not uncover the desired asymmetry. Electrons are single points without a real size, but maybe it’s helpful to think of them as a spherical cloud of electricity surrounding the dot. Scientists view that cloud through a metaphorical camera lens and, through the experiment, are trying to focus the lens surrounding the dot. Theory expects the cloud to be an essentially perfect sphere with the dot smack in the middle. But experimenters are required to build more and more advanced experiments to actually focus that camera. Today, the researchers report building a new lens that has a potential to become one of the best ever. Things are still very fuzzy, and there are no signs yet that the circle, the electron’s “electric dipole moment” is less than perfectly centered. The experiment that the scientists use to focus this pretend lens consists of a special ion, the heavy element hafnium bonded to fluorine, trapped in a vacuum. These molecules act like a particle physics version spinning tops, which the researchers manipulate with lasers inside of an electric and magnetic field. They try to measure just how much the tops wobble by switching the fields and use the data to calculate the asymmetry, the “electric dipole moment.” They published their results recently in the journal Physical Review Letters. Some theorists I spoke to not involved with the experiment were especially excited about this new method. Physicist Timo Fleig from the Université Paul Sabatier in France said in an email that it set important constraints on physical theories that hope to solve the problems not solved by the Standard Model. And professor Stefan Knecht from ETH Zurich in Switzerland told Gizmodo he was excited about the outlook. These experiments and their future iterations will require some inputs from physics theory that don’t exist yet, he said. “It’s like a mutual cycle,” said Knecht. “Theory helped experiments and now experiments have reached such high sensitivities that they demand better input from theory to further get the upper bound of the dipole moment of the electron. This isn’t the best-ever measurement of the electron’s dipole moment—that goes to the ACME collaboration, who got a slightly better one in 2014. But the new measurement confirmed the old one with a “radically different” approach—and science is meaningless if results can’t be reproduced. On top of that, the team has several ideas to make their measurement even more sensitive to get even closer to that Standard Model limit, like using a different kind of ion. Researchers are still orders of magnitude away from experimentally confirming the upper limit of the electron’s electric dipole moment. But with these new experiments, like those at JILA and the ACME Collaboration’s, they’re inching closer.